We’re fans of Alex Proyas here at GFR, with Dark City reining as one of the coolest dystopias in existence. But he took a walk on the wild and ludicrous side with 2009’s Knowing, a movie that somehow smashed together the conspiratorial weirdness of The Number 23 with the grand destructive scale of 2012. Ebert starts off by saying, “Knowing is among the best science-fiction films I’ve ever seen,” calling it frightening, suspenseful, intelligent, and awesome. Starring Nicolas Cage as an MIT astrophysics professor — come on! 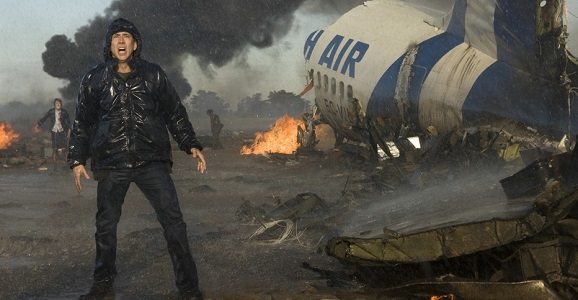 — Knowing hints at a fated doomsday that Cage must try and thwart before it’s too late, in some of the most ridiculous ways possible, which is apparently “expert and confident storytelling” in Ebert’s book.